“I make sure that anyone or any organisation that crosses my path is better off after interacting with me,” says Rob Livingstone, of his IT advisory and mentoring practice. Rob Livingstone runs a CIO Mentor Program, working with CIOs “that are thriving, coping, declining and everything in between”. 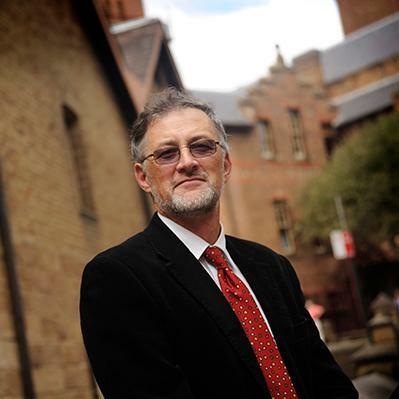 Rob Livingstone was CIO at Ricoh in Australia when he started thinking what he would do next. He talked to a number of people he trusted to get their perspective on the matter. “That set me focusing very clearly on the next 10 to 15 years of my professional life,” says Livingstone, who now runs an IT advisory and mentoring practice in Sydney. Livingstone is a fellow at Faculty of Engineering and Information Technology at the University of Technology Sydney, where his focus is on areas of leadership, strategy and innovation at the Master of Business in Information Technology Program. He is also a book author, and his latest book, Direction through Disruption is a “guide to career resilience during rapid technology and workplace change”. A visionary, entrepreneurial leader would not be running a legacy structured 1980s management style department. These CIOs recognise the environment they are working in is changing quite dramatically, he says. “Essentially, one has to treat what they are doing as a form of running their own business. “Part of the role involves ensuring their clients, their customers, which is their employer, understand the value of what they are getting from both themselves as a manager/executive as well as what they deliver to the business. “In other words, what is their value to the organisation as an influencer, as someone who can offer insights, who can incubate innovation, and lead the discussions of peer executives to where the organisation can go? Thus, he says, the aim of the CIO he works with is to influence the organisation to “the potential of a well-run dynamic future focused IT division that can actually help drive the business, not just be a cost centre or delivering services”.